In recent years, the First Dastoor Meherjirana Library has been engaged in a number of important projects to preserve and provide greater access to the important heritage which it houses. With magnificent funding from the Parzor Foundation and Ms. Piloo Jungalwalla, the Library successfully completed the microfilming of ancient and precious manuscript collection. A full description of the project can be found here. More recently, the library inaugurated an annexe building providing conference hall and residential facilities to visiting scholars and patrons. The project, costing about Rs. 1 crore, was generously funded by the Sir Dorabji Tata Trust. The Library has an ongoing project of conservation and preservation of old and dilapidated texts through the auspices of the Indian National Trust of Art and Culture Heritage (INTACH). The whole project is estimated to cost about Rs. 15 lacs. For the last several years, the library has been working with Professor Alberto Cantera and his students from the Universidad de Salamanca to digitize certain important Avestan manuscripts through the Avestan Digital Archive project. Many of these manuscripts are now online and viewable from all over the world. 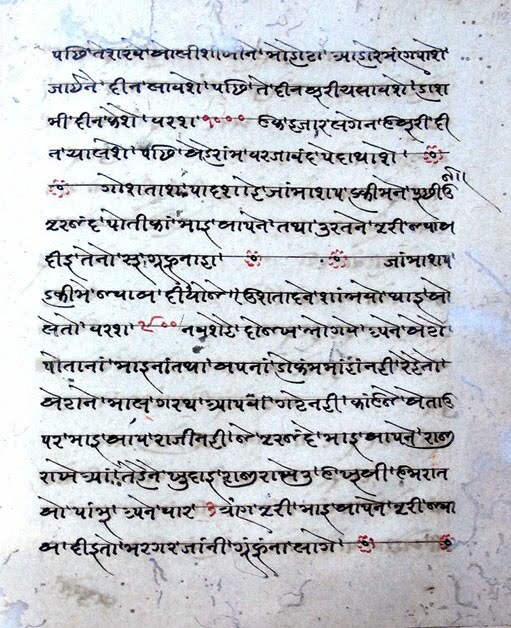 A preserved folio from a Gujarati Jāmāspī manuscript.